This SEO-friendly and trendy add-on replaces the standard pagination with Facebook-wall-like infinite scrolling. 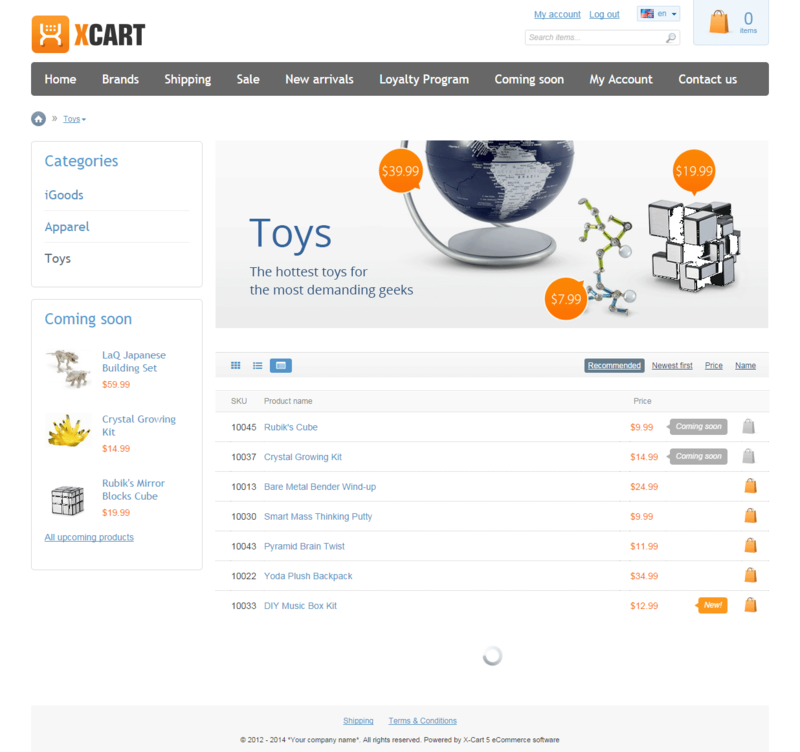 It improves the shopping experience and makes product browsing easier and quicker. No need to switch pages when looking through a long list of products. 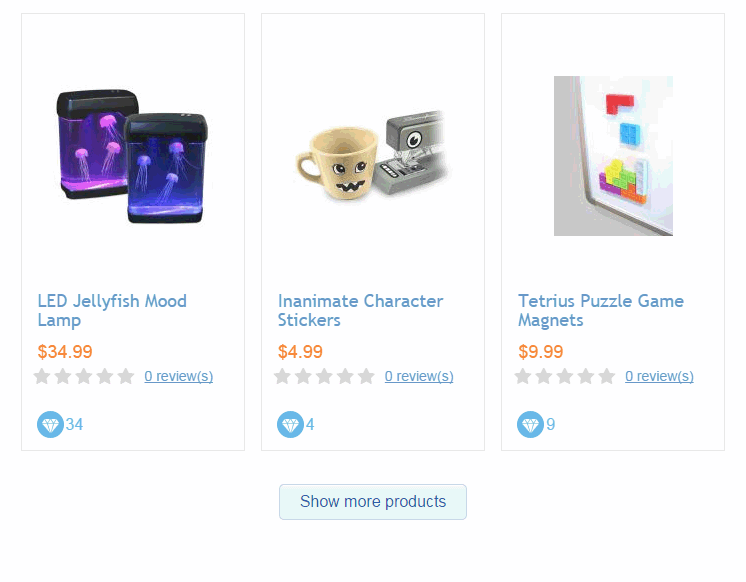 The module displays more products as the customer scrolls the page down. The pager does not appear on the page, but exists in the HTML code. This allows search engines to follow pager links and index the entire list of products. The module is compatible with touchscreen devices and works on smartphones and tablets. 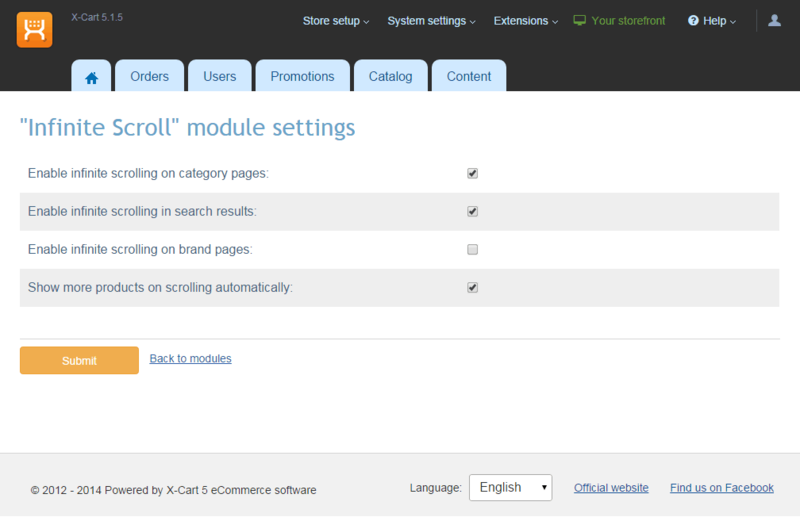 You can configure the infinite scroll to load more products automatically, or after clicking a button. Test drive the module online: storefront demo.